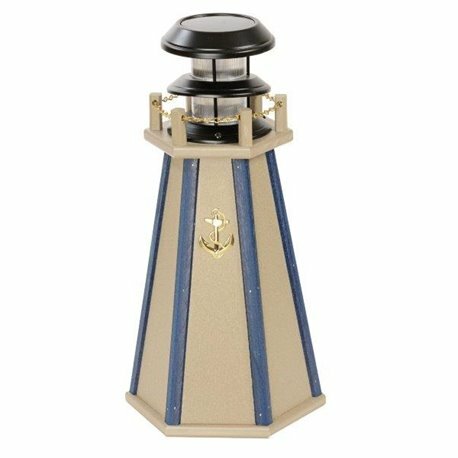 A perfect addition to any porch, sidewalk, or deck area where a little illumination will improve safety and security! 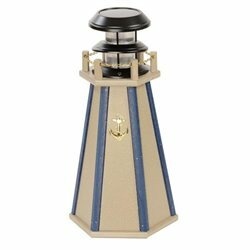 These lighthouses also make a great centerpiece on an outdoor table! They are solar powered so you won't ever have to worry about having access to an outlet! Made from recylced Poly Lumber so they will last for years and weather any storm! Ships via Ground, Fully Assembled.